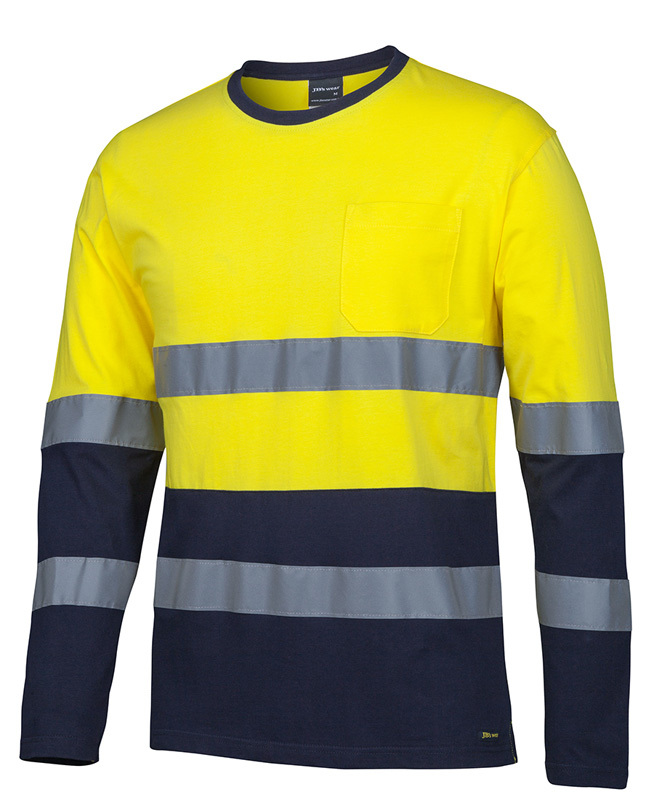 When working throughout the harsh summer heat or in an overly warm facility, you might find yourself overheating in standard work wear. 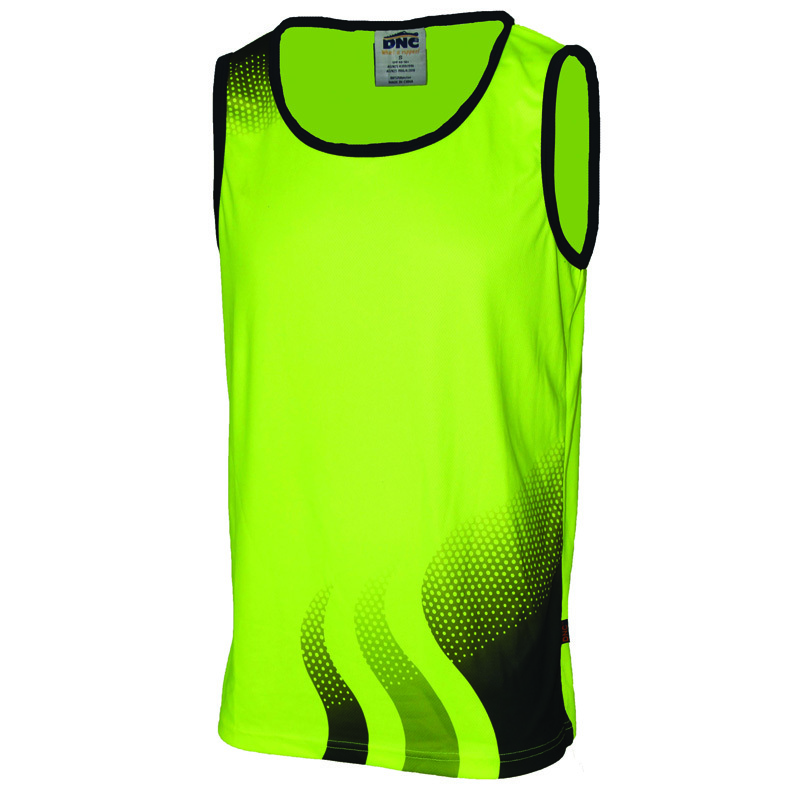 Novel Tees supplies promotional hi vis t-shirts and custom printed hi vis singlets that help to prevent this – their lack of sleeves ensures that your body can breathe whilst enduring the warmest of environments. 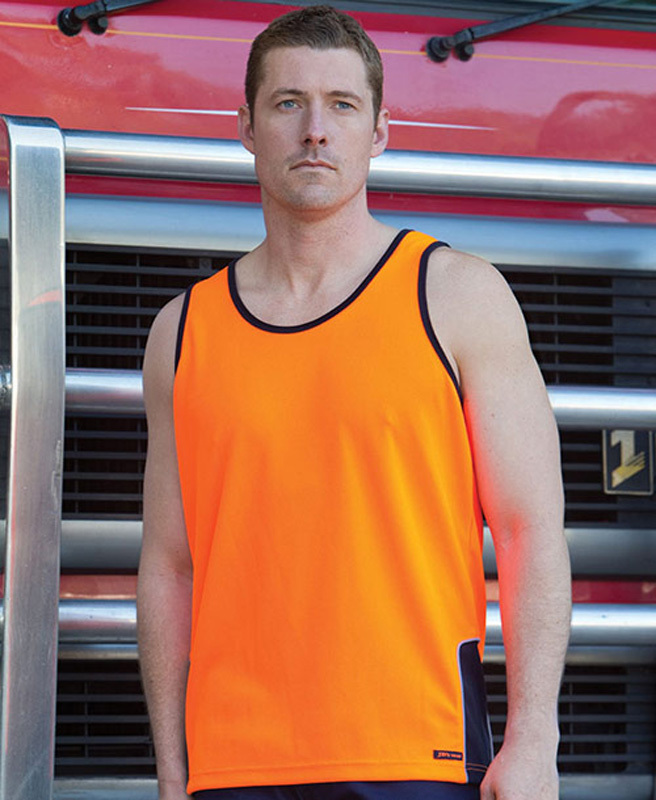 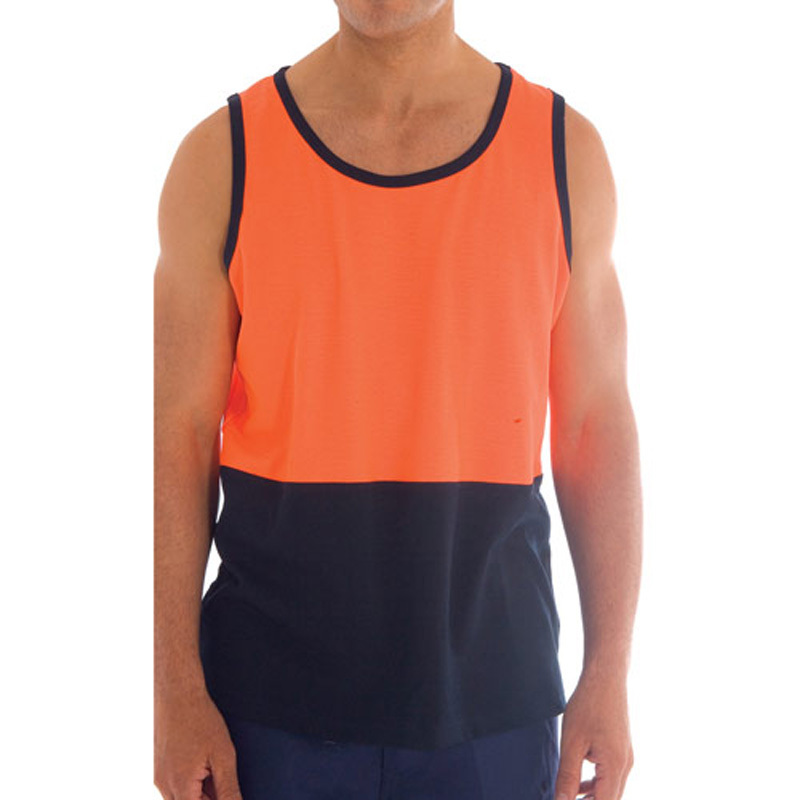 Many of our personalised hi vis work t-shirts and promotional hi vis singlets in Melbourne are made from breathable fabrics, like microfibre, that wick moisture away from the skin and help to keep you cool on long, hot summer days. 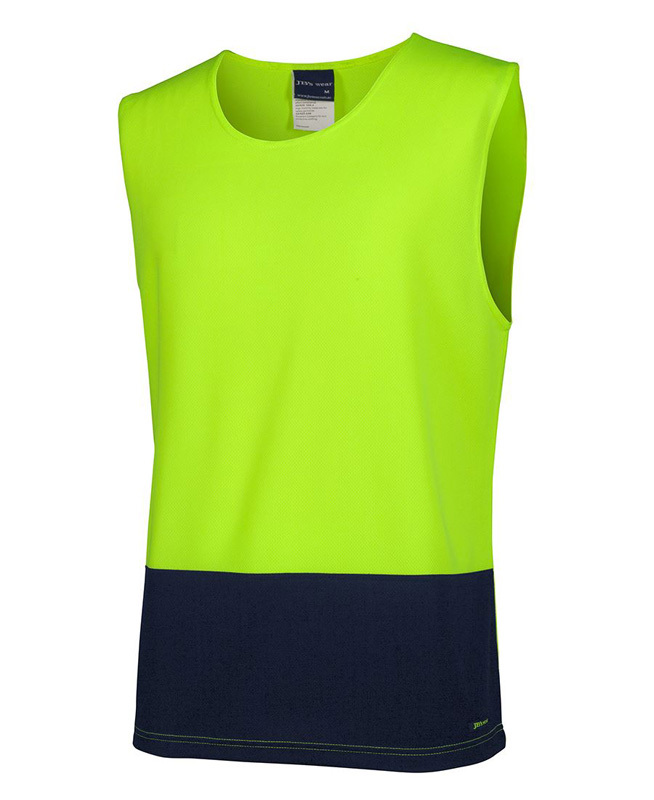 We supply branded hi vis polo t-shirts and singlets in both men’s and women’s sizes, ensuring that everyone on the worksite is fitted with appropriately fitting clothing and that they’re kept as safe as possible. 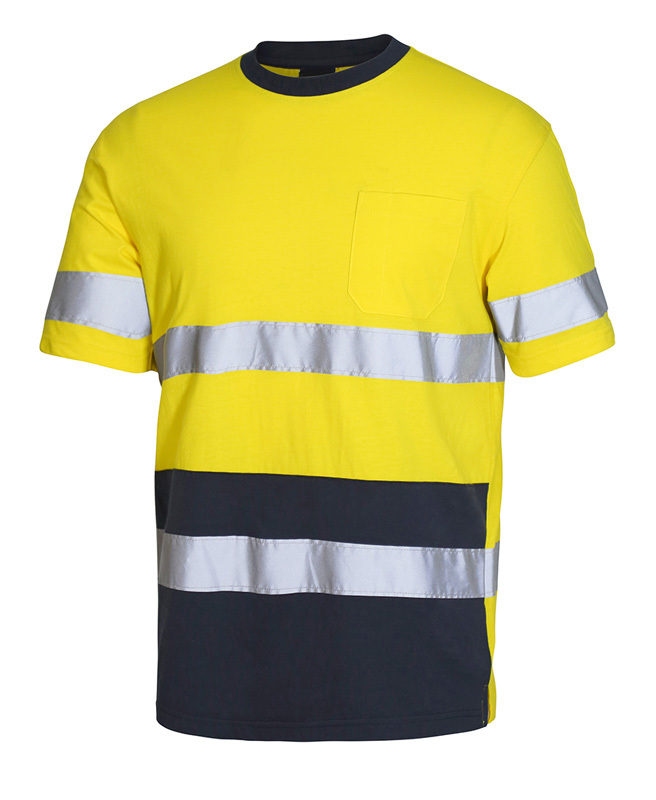 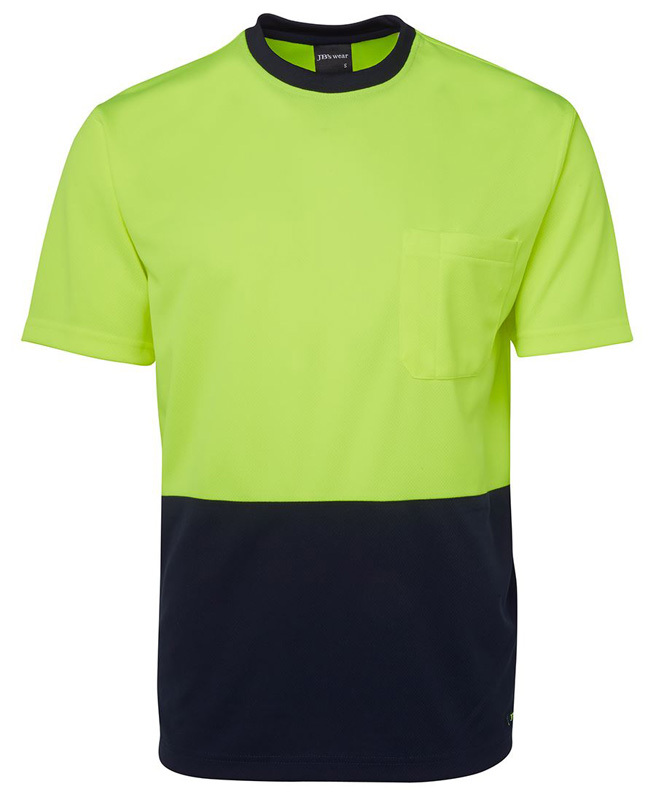 Choose from a range of styles when it comes to printed hi vis polo t-shirts in Melbourne, Sydney, Brisbane, Perth and beyond. 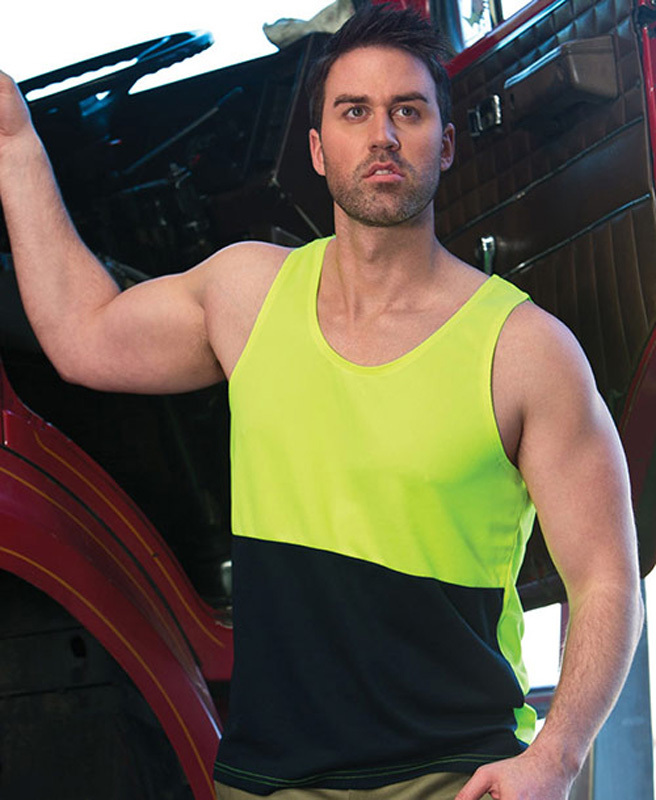 Whether you prefer something a little tighter, looser or even with larger armholes, we have the solution. 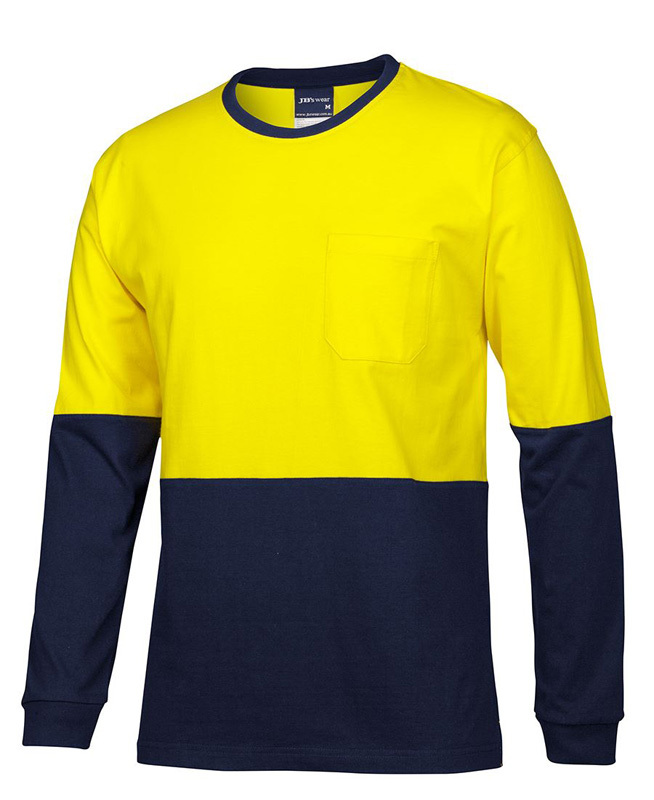 100% Cotton for comfort. 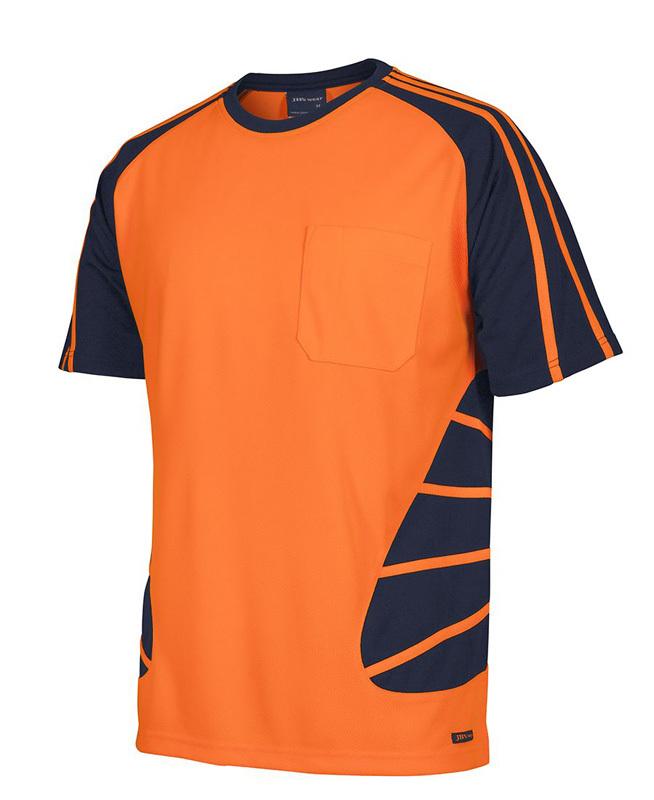 180gsm Fabric. 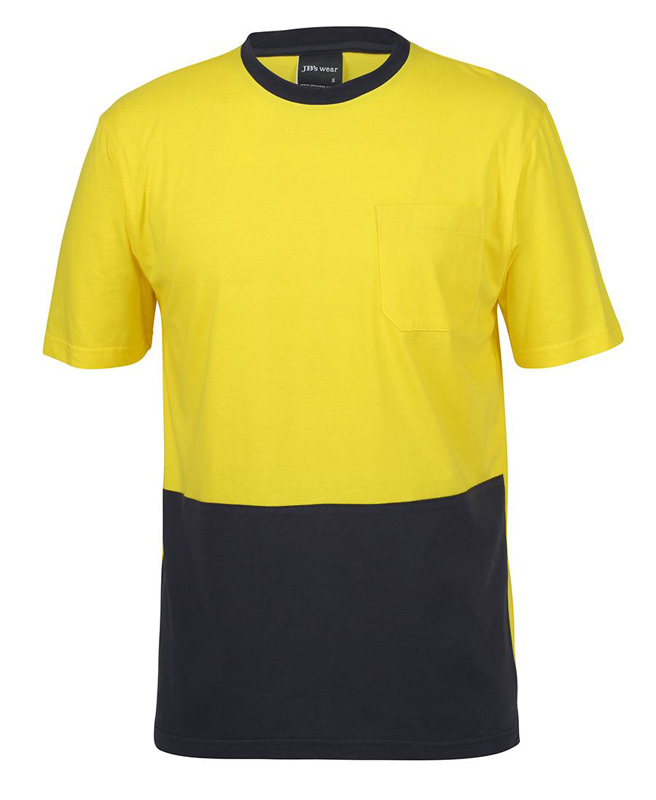 Straight hem with side splits. 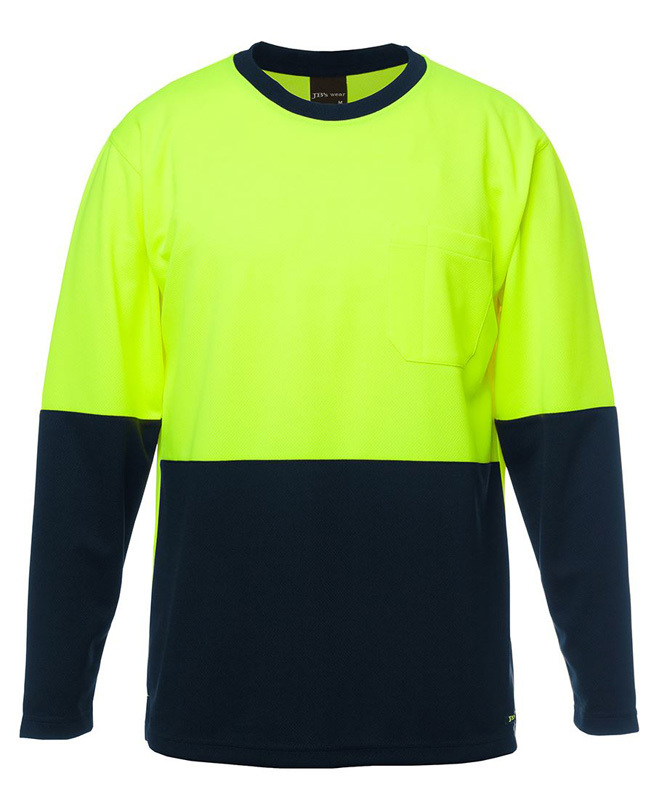 Complies with AS/NZS 1906. 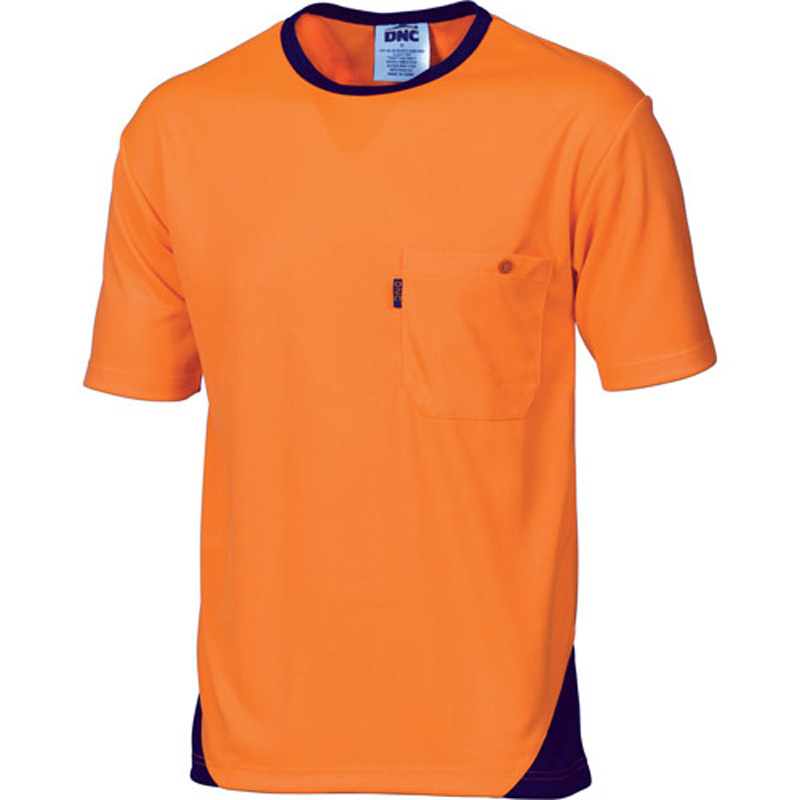 175gsm 100% Polyester Micromesh Contrast Panel down the front bottom Button down LHS pocket. 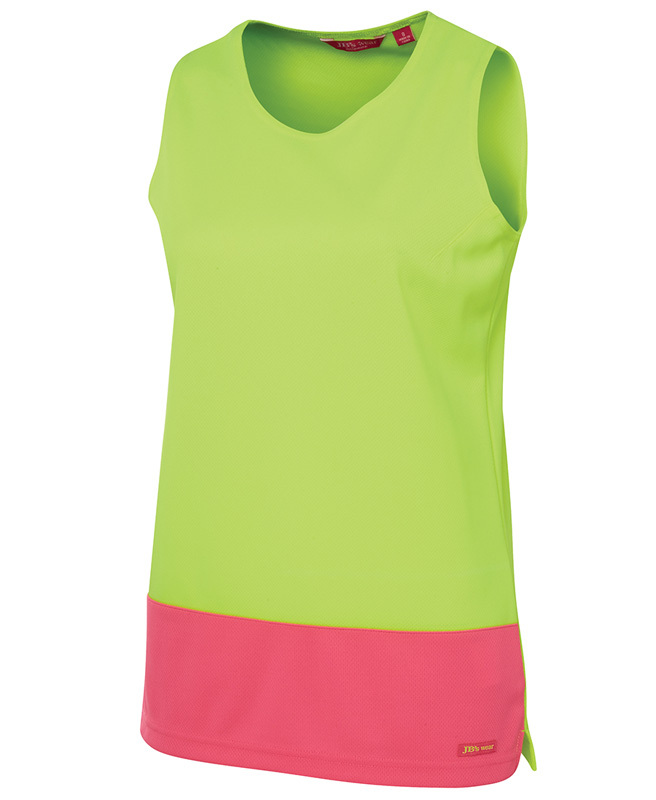 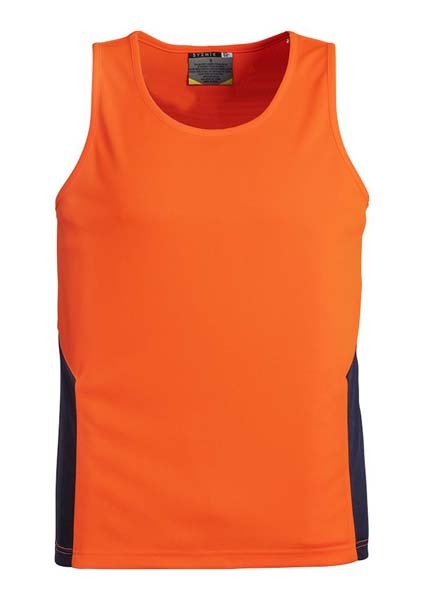 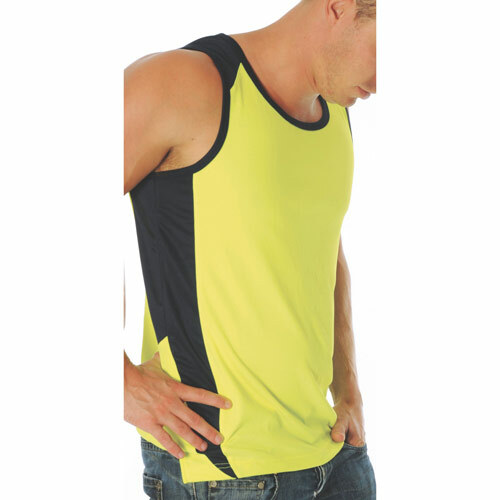 Hi vis T-Shirts and hi vis singlets have a huge amount of available space both on the front and the back of the clothing. 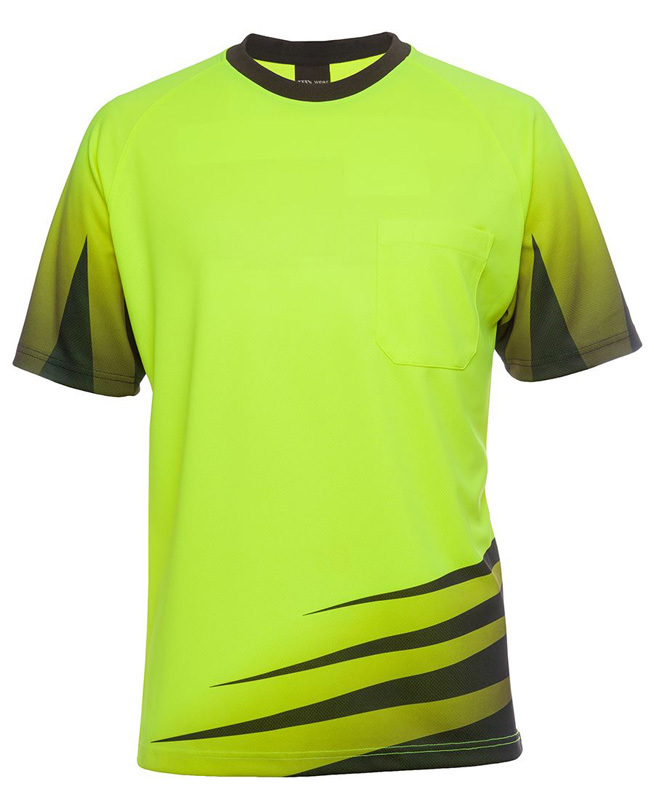 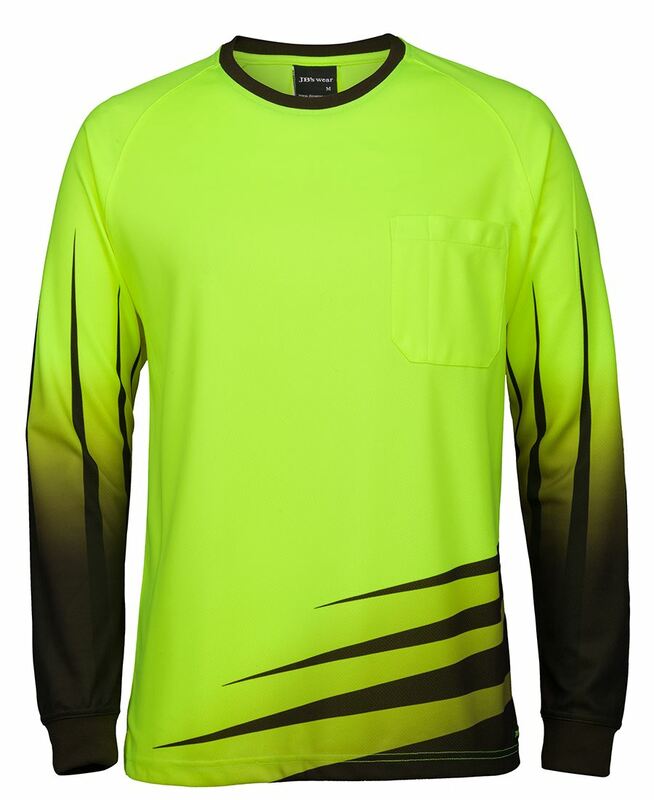 You can use this space to turn regular tops into printed hi vis tees – put your business name, logo and contact details on the shirt and your employees will be easily identifiable. 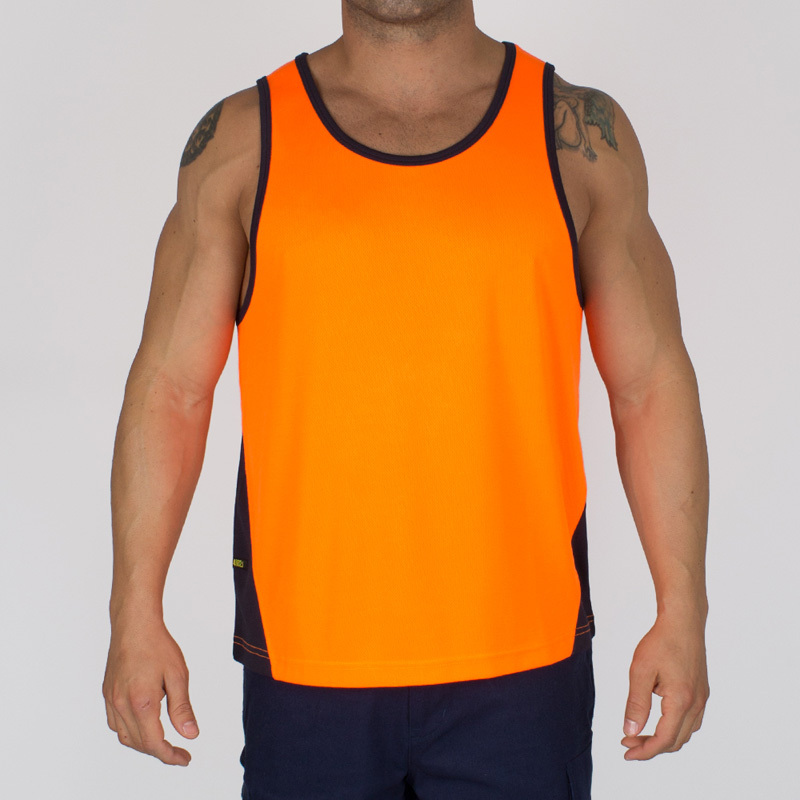 With printed hi vis singlets, your staff will look professional wherever they go, and potential clients will be able to quickly contact your business if they are in need of your services. 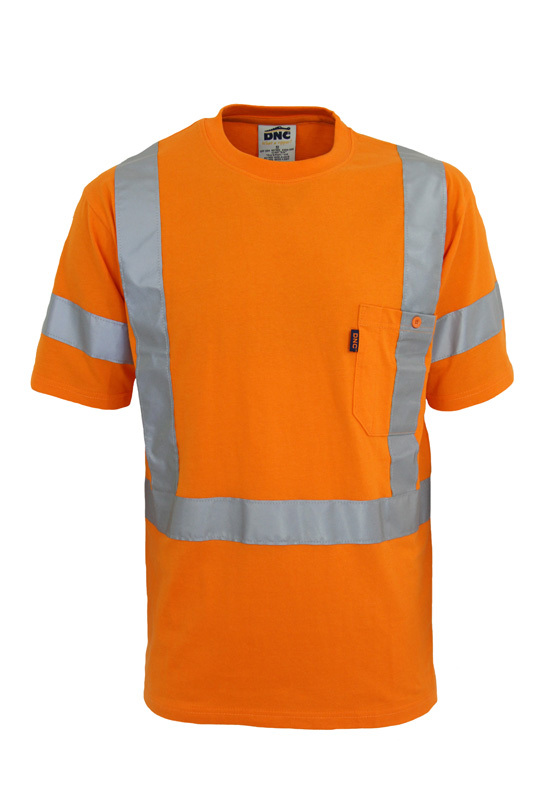 Order our printed hi vis t-shirts today – you’ll be surprised at what a difference they make.